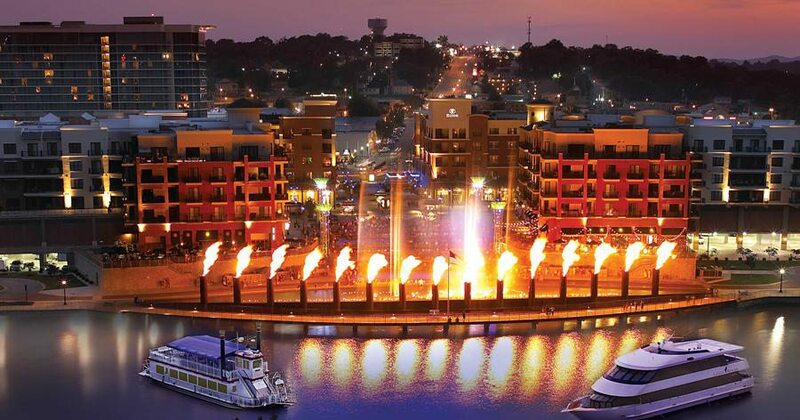 7 p.m. to 9:30 p.m.
Join us for Branson Landing's 11th Annual Liberty Light Up – and celebrate Independence Day – in a BIG way, a day early! The Liberty Light Up Concert will feature Top 40 Nashville recording artist Jason Pritchetti & The Steel Horses and be followed by an amazing choreographed Fireworks Display that will fill the skies over Lake Taneycomo and highlight a spectacular celebration of America’s Independence that will leave you in awe! Jason Pritchett is leading the charge for the NEW REVOLUTION of country music. Jason's first 3 radio songs have blazed into the top 40 charts in record time. In Jason's first week on the charts, he was the highest debuting artist with his single "Good Show" topping out at #16, earning him "Red Carpet" status at the CMA awards in Nashville TN. Jason has performed on tour, with performances opening for Tyler Farr, Lee Brice, Thomas Rhett, Old Dominion and Kelly Pickler to name a few. Don’t miss Jason Pritchett & Steel Horses perform for you LIVE during Branson Landing Liberty Light Up!